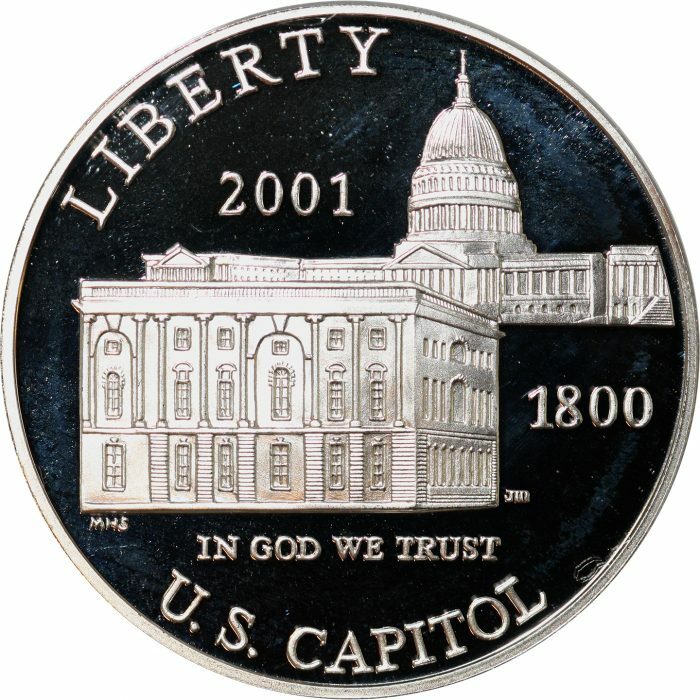 2001 P Capitol Visitor Center Proof Silver Dollar Commemorative. This Silver Dollar on the Obverse exhibits the capital building as it was in 1800 and another view further back shows it as it was in 2001. The reverse shows a heraldic Bald Eagle with a banner with the words “Capitol Visitor Center”.